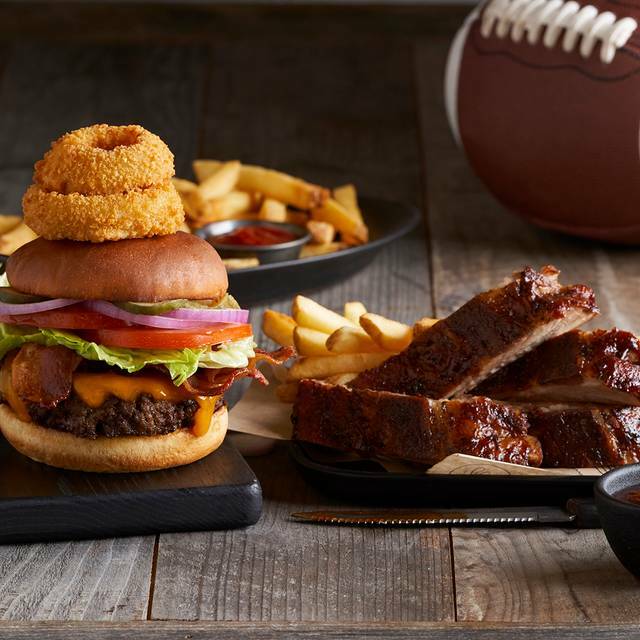 This Black Angus Steakhouse features the BullsEye Bar, a casual sports bar concept within the restaurant, which boasts 10 to 12 hi-def flat screen TVs and offers various types of viewing zones. Each seat in the bar offers Guests the ability to watch different sporting events simultaneously. Free Wi-Fi is also available for fantasy sports players, as well as an ongoing calendar of sports-related promotions and contests. Off of highway 55, cross street is Seventeenth Street. Across from Orange County Global Medical Center. Celebrate mom with us! 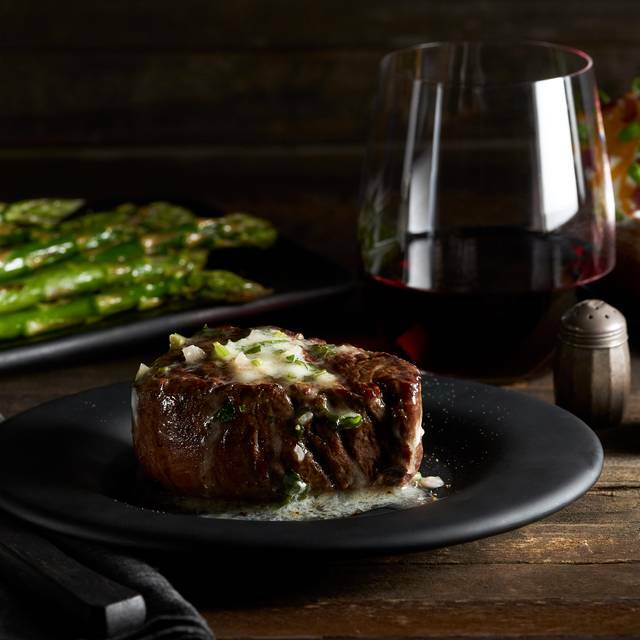 Treat the mom in your family to a special day at Black Angus Steakhouse. We will feature our famous Prime Rib & Lobster Tail special for $33.95. Reserve your table today! Slow-roasted prime rib -- Good flavor, but very fatty / Baked potato -- Good / Steak soup -- Terrible. The soup was spoiled and made my husband sick. We told the waitress, but and she nonchalantly apologized. 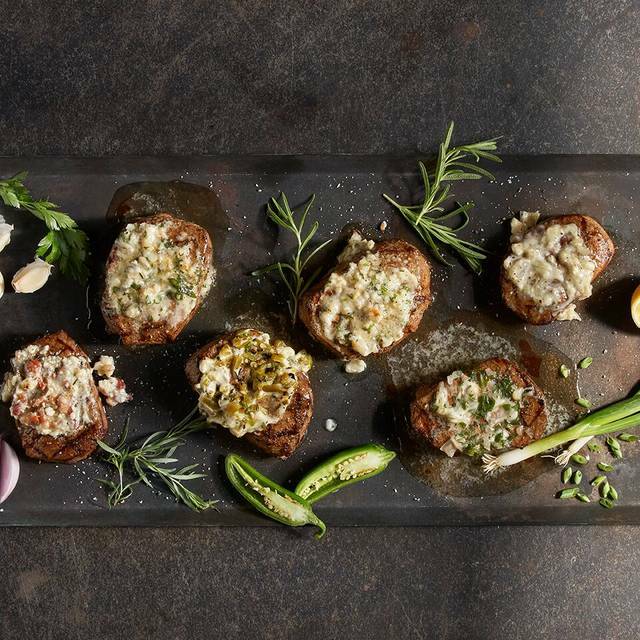 Filet Medallions -- Excellent flavor, but fatty for a filet / Loaded baked potato -- Good / Salad -- Good. There was a family sitting diagonal from us. As they were leaving, one of them pricked their finger on a nail that was sticking out of the booth. He was very upset and told the waitress what had happened. As she was checking the booth, she ended up pricking her finger as well. She apologized and told him she would let management know. Not sure whether that happened, but about 15mins later, they sat another family in the same exact booth. I guess they're not concerned about the safety of their customers. Needless to say, we will not be going back here. The manager Kate was very mean. It was my birthday and I couldn't find the email to get something, I was OK with not getting the complimentary meal, but our waiter ask her if she can bring me out ice cream and she said no. I was very disappointed! ! She needs to learn customer service!!!! 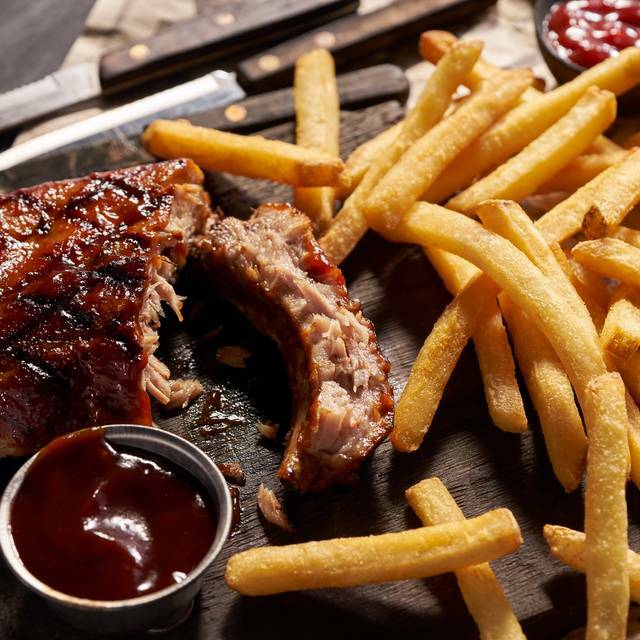 We enjoy Black Angus at least once a month for its great food and service. Restaurant had a sour smell. Food was incorrect and waitress needs more training. Cold bread with frozen butter. Ordered a Filet Mignon and it was not tender ...no flavor. A good steak should not be tough and does not need a steak sauce. 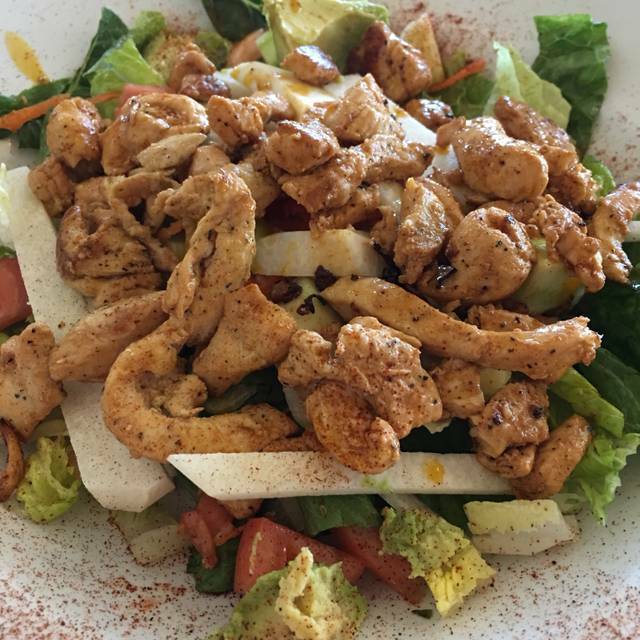 No comparison to salt grass steak house or even a cheap steakhouse. A Birthday celebration and my wife and I requested a quiet booth - which we got, along with special pricing for steak and lobster, combined with lamb chops made for a wonderful dinner. This was topped of with a huge “Cowboy” cookie with ice cream! Wow! Way to be the worst!!! Came here for mom's 50th birthday and will never go back! Our reservation was at 7 for 9 people we didn't get our food until 830 everything came burnt, soggy and cold! The waitress came to our table mabey 4 times never once asked for refills and didn't have the best attitude. The manager took off one meal and an Xtra 15 also offering a dessert but the waitress never came back to our table and I had to go to the front to pay. Horrible experience. Good food. Lots of variety! Enjoyed a lot! A wonderful evening. Paul and Zumer, the managers, were fantastic and took great care of everyone. Paul accommodated my desire to have a different table immediately, sent us a complimentary appetizer (fried zuccini was outstanding)and both Zumer & Paul checked on up several times. We weren't the only ones they checked on. They were busy helping and following up with everyone in my line of view the entire time we were dining. A very nice evening and delicious. The campfire dinner for two is quite a value and a lot of food. Food was great and service was great. Nick D our waiter was very attentive. And the manager Paul is awesome! Has an amazing birthday celebration with my family for my son!! My parents have always enjoyed this restaurant, and to my surprise, the food is really good. Steaks and primerib have been our choices over the years and have never had a "send back"! My only suggestion at this point, for this restaurant, is seat upholstery, at least the booths. One of the best things, is they actually provide high back booths. We had horrible service. We had to wait for our table 30 minutes. When we were finally seated, nobody acknowledged us for another 40 minutes. We finally had to flag down a waiter from another section to get drinks and bread. Our actual server showed up 15 minutes after that with no apology. She never smiled. I will never go back to that Black Angus again. I would recommend it as far as food. We came about a month ago and we were not happy with the service. We thought we'd give it another try, but again the service was poor. It took our server between 5 and 7 minutes to greet us at our table after we were seated. Our server was friendly when we saw him, but we had to ask other servers to ask him to come to our table several times for refills, etc. It was 5:30- not busy yet!! Sadly, our friends that we brought said the food was very good, but were not impressed the service. I will try it one more time, but if the service is poor again, we will not return. Waitress switched our 2 plates. Steaks were ordered cooked differently. Steaks were not labeled as how they were cooked. She didn't ask when they were brought to the table. Lobster tail on one of the dinners half the size of the other one. But the dinners WERE good. I am never disappointed at Black Angus. Always great food and service. 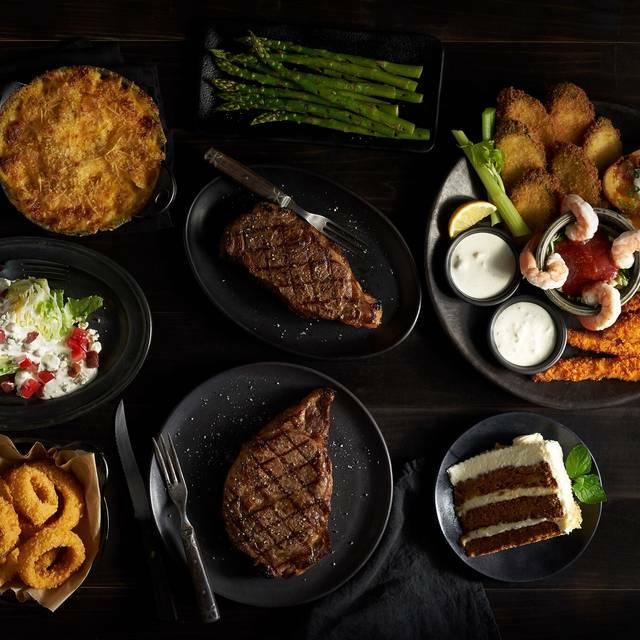 For this visit, I used my birthday deal, which is quite generous; Black Angus gives you a free steak dinner valued up to $20.99. My tenderloin steak was lean and tasty. The baked potato and broccoli and a dinner salad made for a great dinner. Our server was friendly and attentive and also brought me a free giant chocolate chip cookie with a scoop of ice cream. A wonderful evening. Food was cold, waiter never offered a refill on the drinks. Steaks were raw when we asked for well done. The bad thing was that we had a reservation at 630 and got seat at 7. They really not honor reservations. Everthing else was fine, Perry was a good server, there were some delays, but we totally understand, saturdays are always busy at restaurants. Excellent salmon. Kevin was an excellent waiter. Just don't go on Saturday night. Parking was difficult. Our 6 PM appointment time was lost and did not get seated until 6:35 PM. Long wait for meals and longer wait to get our bill. Food took a bit longer than expected, but taste was great! I am pleased to see that Black Angus restaurants are still around! I used to go to a particular one all the time in my younger days. The food was good then, and it is still good today. Keep up the good work, my hubby & I will be coming back!! Black Angus offers relatively inexpensive good meals. The prawns were big and delicious. The steak and tritip were perfectly cooked. Our waiter, Perry, was a trainee who did a great job as a newbie. His personality was delightful. Our only concern was how full the parking lot was! Our server was great, but at the end we felt forgotten. Food was pretty good. My ribeye was requested medium rare and came out more than well-Done. By the time my food arrived everyone else was done eating. It’s a good thing we reviewed the check because after they had to re-do my order we were charged for two ribeye dinners instead of the one that was ordered. Everyone was very nice, but the experience was unfortunately a little less than average. OVER ALL THE MEAL WAS VERY GOOD. HOWEVER, THE LAST THEE TIMES I HAVE VISITED BLACK ANGUS THE STEAKS AND PRIME RIB HAVE BEEN SUBSTANDARD, USUALLY OVER COOKED BUT FINE WHEN REPLACED. THIS SHOULD NOT HAPPEN AT EACH VISIT. THIS HAS BEEN HAPPENING OVER THE LAST SIX MONTHS, TO MY KNOWLEDGE. IT WILL BE AWHILE BEFORE I VISIT AGAIN GIVING TIME TO CORRECT THIS DEFICIENCY AND I WILL REVISIT IN ABOUT SIX MONTHS IN HOPES A CORRECTION IS MADE. AT THE PRESENT TIME I WOULD RECOMMEND YOUR RESTAURANT TO OTHERS WITH CAUTION. The vegetarian choices were limited- they do have a mushroom burger at lunch, but not for dinner. I got the vegetable cobb salad and a baked potato worried I would still be hungry with just a salad. 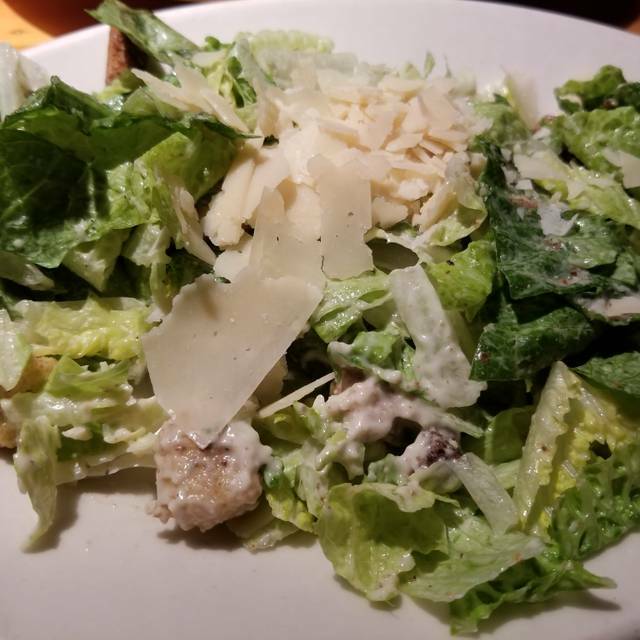 I was absolutely stuffed and the salad was amazing. I went there because my kids love steak. One got a combo with king crab, steak, and asparagrus- she said she didn't even need a knife because the meat was so soft. The other got a steak with mushrooms and onions. It was cooked exactly as requested. It was a great evening and the waitress kept up with out table's need for coffee, tea, and soda refills as well as the large group seated next to us. I helped with a friend to move his deceased farther items, in doing that we all ended up at BK Angus. Everything went fantastic. I could have not gone better. Food great, service was good. Very Nice waitress however I think she was the only one because it was late night.? 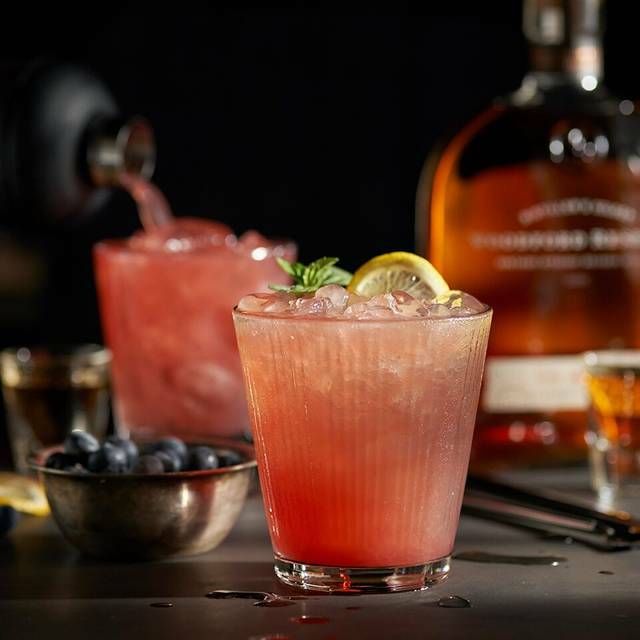 We like to keep this restaurant in our rotation. 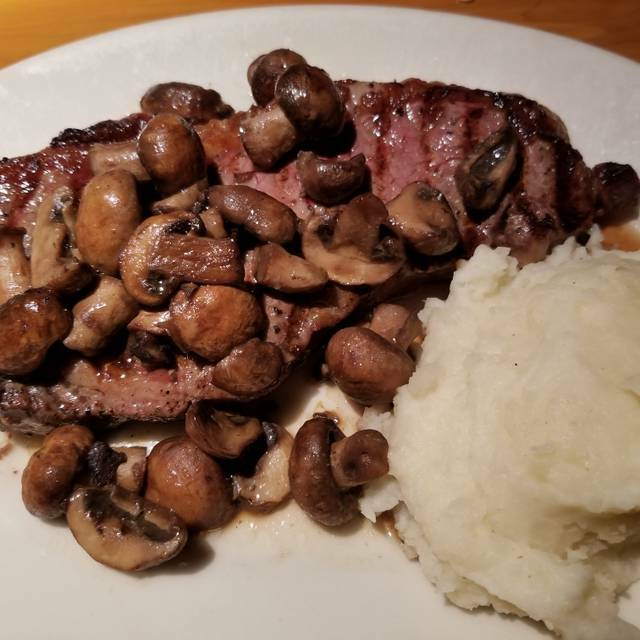 We usually have a favorable experience, but on this visit there were a couple of hiccups with the quality of one steak and the overdoneness of another. Both issues were handled promptly and courteously by the manager and completely to our satisfaction. The service was outstanding. Mistakes happen even in the best of restaurants, but they way they are handled makes all the difference in whether they merit future patronage. Black Angus does! This place looks the same as it did 25 years ago and has the same menu. Decent meal. We did have a problem with one of the meals but the manager addressed the situation very quickly, changed the order and comp'd us for that one meal. Nice people, inexpensive meal, comfy booth. Very nice dinner with a great waiter. Had a coupon that made the price just right. Were seated next to a large party, and the hostess offered to move us, but we declined. Noise level was not too bad. Place was packed. Will definitely eat there again!